Three Years Strong! Happy Anniversary! It was three years ago that I decided to start Ashley ♥ Adores, a place where I set out to share pieces of my little world with the rest of the universe. And I must admit, I’ve had my share of hiccups (including this redesign coming a day short of my actually anni — woops! ), but I’m proud of myself for continued forward progress. It’s the most work I’ve ever put into something consistently, and it’s been rewarding. To commemorate this special occasion, I decided it was about time to ditch the old look (Balloons theme, you served me well) and go with a cleaner, polished, more mature look. Plus, I made for a more user-friendly experience by moving my categories and social media icons to the forefront. I’m also toying around with the idea of adding a new weekly feature. New year, new me, right? Here it is in all its glory, friends! Please take a look around and let me know what you think in the comments section below! 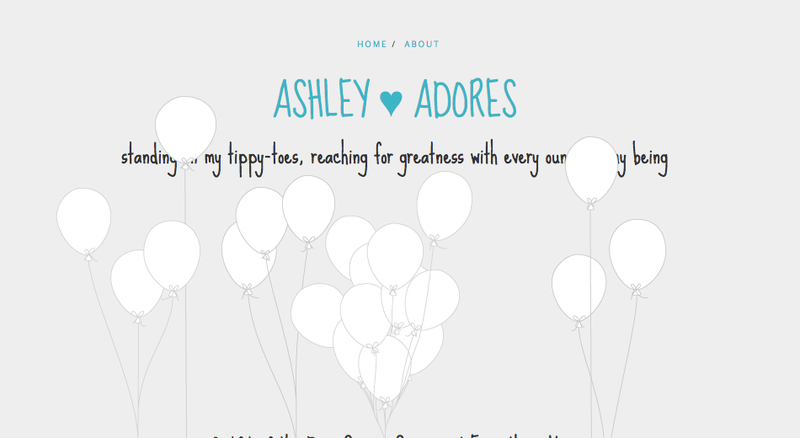 With this redesign comes a renewed zeal for all things Ashley ♥ Adores! Stay tuned for a survey next week. I would love to hear from you about what you like about this blog, what you’d like to see more (and/or less) of, and where you think I can improve. Lastly, but certainly not least, I want to extend a huge “thank you” to every one of you who have followed this blog, commented, entered a giveaway, liked a post, passed through, et cetera, et cetera. You guys are the best! I hope that my content helps brighten your day in its own way, and that you’ll continue reading Ashley ♥ Adores. P.S. I’m so grateful for my guy, Dash, who spent so much of his time and energy, and experienced loss of sleep, to ensure that this redesign came to fruition! I couldn’t have done it without you! Congratulations on your anniversary, Miss Ashley!